Trip Log – Day 346 – Lubbock TX | How Will We Live Tomorrow? When you travel so slow for so long ideas percolate over time until, one day, you meet a person or encounter a situation that illuminates a larger concept. All over our country people are wary of the government: almost always referred to as ‘the’ as opposed to ‘our’. They want less of it, and they want it to be more local. Yet, our government keeps getting bigger and reaching into more precincts of our lives. Why is this? 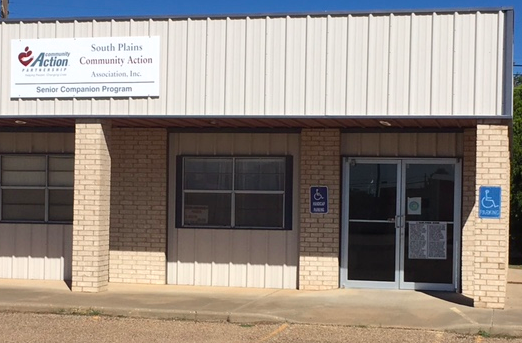 One answer can be distilled from a small building I passed in Levelland, TX: ‘South Plains Senior Companion Program.’ Forty years ago we began providing services for the elderly of this area. A few people had died in their homes and were not found for days, so we started phone trees. Some were not getting proper nourishment, so we started meals on wheels. We offered rides to doctor appointments, we insulated drafty houses, we opened senior centers to promote socialization. We did this mostly with federal block grant money, though what we provided didn’t need to come from the government at all. These services were not complex. They could have come from extended family, neighbors, churches, or civic groups. But they didn’t. So our government stepped in to provide. The progression goes something like this. Some people in our communities don’t have family or neighbors to care for them. We create programs to fill the gap. The programs become the norm. Families and neighbors feel less responsible. More people need the services. Programs get larger, institutionalized. They develop bureaucracies, advocates, agendas; they take on lives of their own. As they grow, our sense of community shrinks. There’s nothing wrong, in theory, with organizing society along institutionalized care and support, except the American duality of individualism and compassion renders us uncomfortable with centralized social services. We think people should be independent, and when they can’t be, we want them to be cared for locally. But families, neighbors and churches don’t have to serve everyone – only our government has that mandate. It’s a long stretch from a federal government formed to provide for the common defense to one that provides senior companions. But until everyone is cared for locally, our government will step in, and it will continue to get bigger. 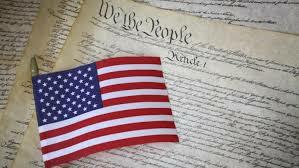 We could get comfortable with that idea and stop bellyaching about the size of government. Or we could shrink our government by tending to our communities ourselves. Most likely, we just keep complaining. This entry was posted in Bicycle Trip Log and tagged Levelland TX, Senior Companion Program. Bookmark the permalink. We need to keep serving…at all levels, beginning with family, neighbors and friends. When more resources are needed, local not for profits, businesses and state, federal and corporate resources should be available for prevention and early resolution.